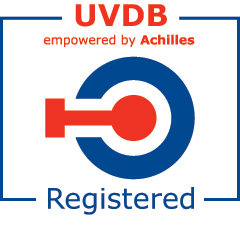 We have recently joined the UVDB Achilles Community. We have a track record of utilities related work stretching back over 20 years and Achilles UVDB approval will help us to further strengthen our work in this area. Achilles UVDB helps utility companies manage risk within their supply chain and comply with EU Procurement Legislation.